Punch and Punchstories will be the Motto for the first KA session of 2019. We will meet on Wednesday, February 13, 6 pm in the Ratskeller at the German Society. E.T.A. Hoffmann, one of the great German Romanticists, argues very convincingly in his famous novella “The Golden Pot” that nothing warms and inspires as much as starting a winter evening with a glass of hot punch. The story of the archivist Lindhorst and the student Anselmus delivers irrefutable proof of this thesis. 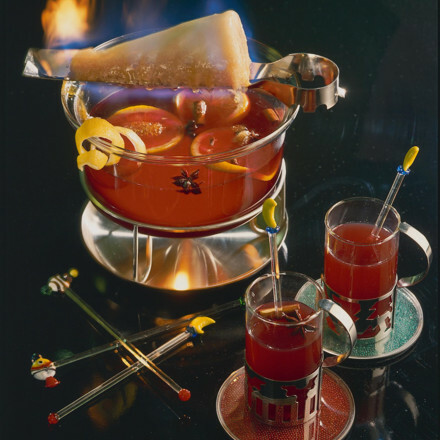 On Wednesday the 13th, there will indeed be a glass of punch for everyone at the KA. I hope that will inspire you to share with us some of the jokes and anecdotes you presently like best. There will also be a handout with a selection of “really funny German jokes” (yes, those exist), and a list of puns or, to use the German expression, Wortspiele. So, let’s brighten up the winter “doldrums” with punch, puns, and fun. As always – all are invited, all are welcome. Refreshments will be served.